How does our bus service work? TinkerTank offers an after school bus services that operates to several local schools. Just ask us and we will let you know. In cases where there is only one booking, the service will NOT go ahead until we have the numbers. We need a min of 3-5 students. Bringing a friend always helps! Doing things together is always more fun. Spread the word, tell others. The more coming, the more fun it all is. TinkerTank is Hands on, project based learning . 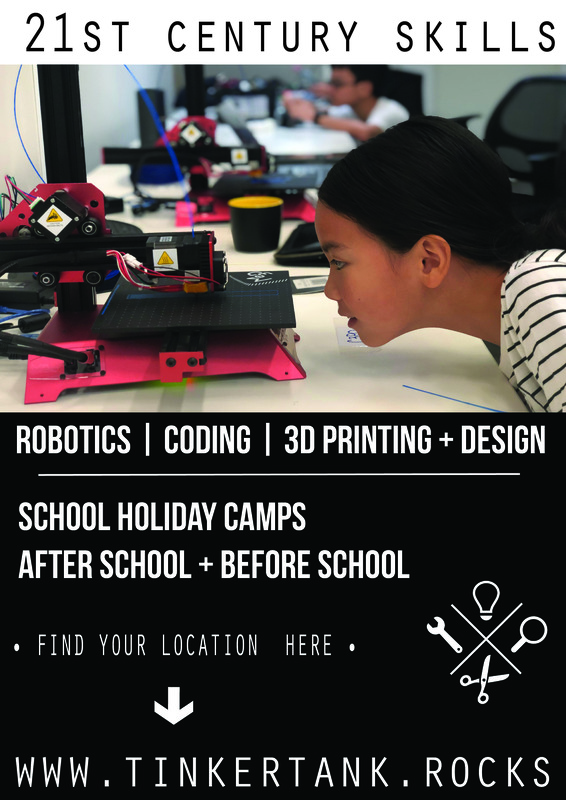 Current activities include robotics, coding and 3D Printing and more - the space is limited only by your imagination! They offer before school, after school, weekend and Holiday programs. They now accept the Creative Kids Voucher! Let's get your school a bus!